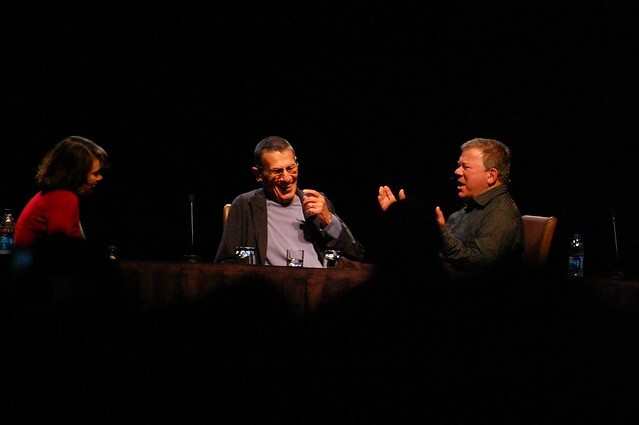 Midway through the session, he was joined on stage by William Shatner, who had also been at the con but hadn't been able to stay beyond the first day, making a surprise re-appearance. The two of them, who've legitimately been close friends for fifty years, had an incredible conversation in front of us. The panel moderator wisely sat quietly and watched, as we did. Oh that is wonderful. Would hat there were video. I love how happy they look. It was remarkable how comfortably and effortlessly they bantered. We were really lucky to be in front of that.